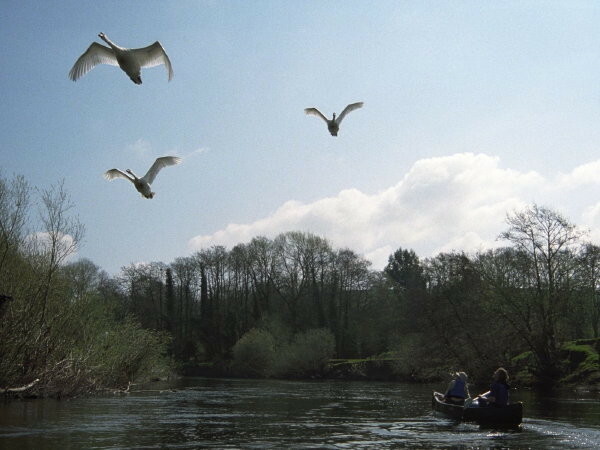 2009 River Wye, betwixt Glasbury and Hay. Every year we do at least one trip down the Wye. The swans in this picture seem to know instinctively how best to position themselves for the camera.